Getting orthodontic braces and having your teeth aligned are not just for aesthetic purposes. It fixes numerous problems such as crooked or crowded teeth, overbites, underbites, and other jaw-related concerns. Ignoring these issues can lead to tooth decay, gum disease, and the development of speech disorders. Teeth alignment and getting a new, better smile has psychological effects as well, boosting one’s confidence and self-esteem. Getting orthodontic braces, however, is a painful and time-consuming process that greatly affects your lifestyle and disposition. With traditional metal braces, you have to contend with diet restrictions, missing brackets, and of course, pain with every adjustment. It’s a long, uncomfortable, and exhausting process that can take years. Invisalign is the latest innovation in orthodontics technology. It is the culmination of 20 years of research, over 900 patents, and the world’s largest 3D printing operation which resulted in a groundbreaking alternative to traditional metal braces. Invisalign uses nearly invisible aligners to straighten your teeth, leaving no unsightly trace or residue. Each aligner is molded specifically to the wearer that’s uniquely developed according to the treatment plan prescribed by your orthodontist, thereby ensuring visible results and improvement in as little as two weeks. The treatment starts with a non-invasive 3D scan of your smile using an iTero Element scanner. Your dentist will then map out the journey to your new smile showing you every step of the way until the whole treatment is complete. Yes, you’ll be able to see what the finished product looks like before you even get your first aligner. You can work with your orthodontist step-by-step to make sure you get the smile you’ve always dreamed of. What are Invisalign’s advantages over traditional braces? Invisalign’s biggest advantage is that it’s removable as opposed to traditional braces where each bracket is bonded to your teeth. This spells the difference in being able to enjoy eating food that’s normally bad for braces, such as hamburgers and hard, crunchy food. When using Invisalign clear aligners, you can just remove it before a meal and indulge to your heart’s content. Just make sure to place it back, though! Brushing your teeth and flossing is another situation where being able to remove your aligners come in handy. It’s easier by a large margin to clean your teeth using Invisalign versus brushing and having to floss in between wired brackets. Another benefit is course, Invisalign being practically invisible. Let’s face it – metal braces are not the prettiest thing in the world. Don’t get us wrong, though. Traditional braces play an important part in straightening teeth and fixing one’s bite but using clear aligners lets you go about your business without drastically changing a lifestyle you’ve grown accustomed to. With Invisalign being made of pliable and sturdy Smart Track material, there are fewer emergency visits to the dentist. You won’t have to worry about brackets or wires breaking or coming loose when you least expect it. Interested in getting Invisalign clear aligners? Consult with our orthodontists in Brightsmile Fort Bonifacio and Brightsmile Banawe to start off your journey to a new smile. Why Choose BrightSmile Avenue To Be Your Accredited Invisalign Provider? Congratulations! You have extensively researched all of your options and decided to pursue Invisalign treatment to straighten your teeth right? Now one important thing is that you just need to choose the right provider provider. Now, It is very important to understand that Invisalign is more than just a product, it also depends on the technique, and your satisfaction of your provider. We are proud to say that BrightSmile Avenue is experienced and efficient in treating Invisalign patients. Our clinic’s primary goal for you during this treatment is to achieve straight and a healthy smile. Remember Invisalign and traditional braces requires an investment of both time and money so it is important to know what to expect as you embark upon this treatment plan. Invisalign is one of the most popular and successful methods for achieving straight teeth and a healthy smile, with over 20 years of research and 4 million cases to support its popularity. Invisalign uses custom-made BPA-free clear plastic aligner trays that fit snugly over the teeth to gradually shift teeth into the correct position, either horizontally, vertically, or even rotating teeth as needed. To begin treatment, the doctor uses a scanner to create precise 3D digital images of the teeth. These images are used to create the aligner trays and for the doctor to design an individual treatment plan. Aligner trays need to be worn 20-22 hours per day for optimal results, but are removed while eating, drinking, brushing and flossing teeth. Each aligner tray is worn for 1-2 weeks, then replaced with a set of slightly different trays, each set moving the teeth closer to the goal. This technique is very different from traditional braces, and requires training and mastery for the best results. Each Invisalign provider goes through extensive clinical and hands-on training to become certified in using the Invisalign product and technique. Following certification, providers earn designations from Invisalign based on the number of patients they treat each year and their overall experience and success in using the Invisalign system. Dr. Capicoy is an accredited Invisalign provider in the Philippines for the past 8 years. 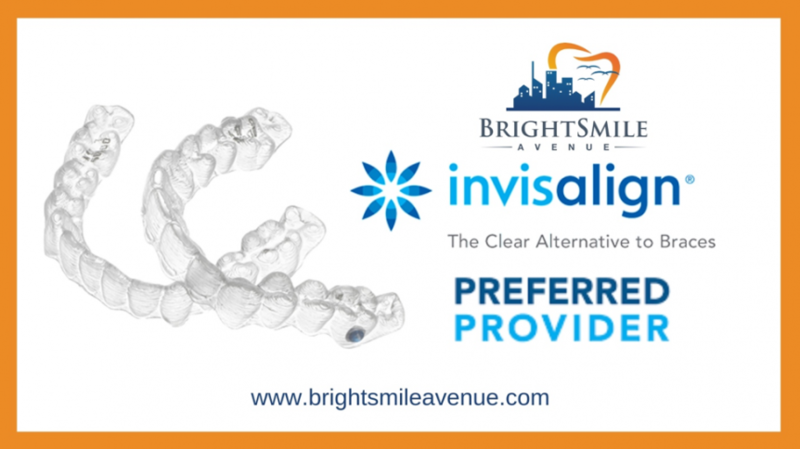 Choosing BrightSmile Avenue for your Invisalign journey means you’re choosing the best.